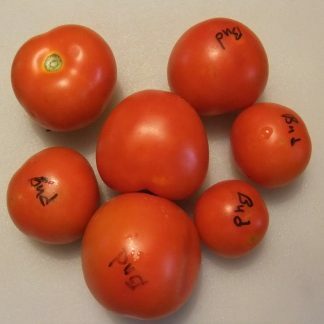 Creole – Old commercial heirloom, developed at Louisiana State University in the 1940s. 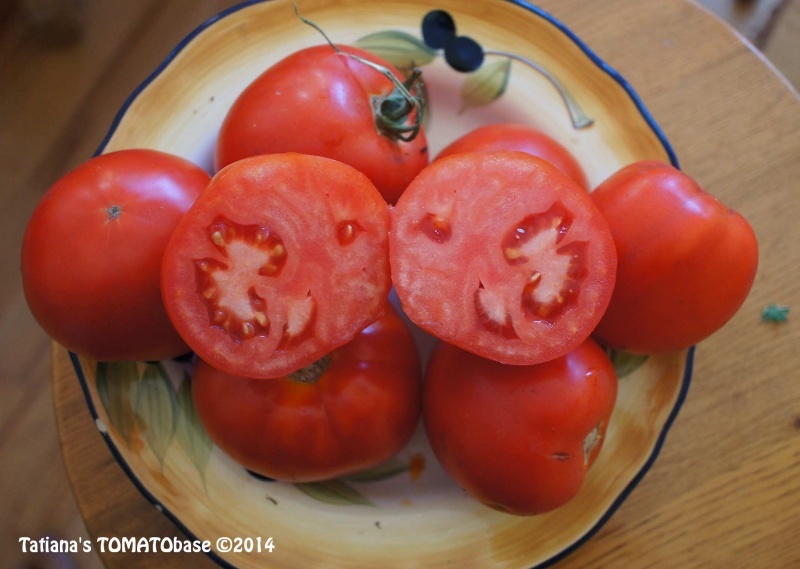 It was once widely grown in the New Orleans area. Indeterminate. regular leaf plants. 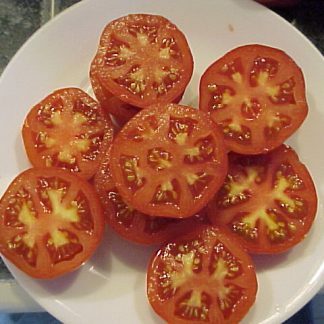 High yield of red round fruits, 4-8 oz, with very good old-fashioned flavor. 70 days, medium-large fruit, smooth firm and tasty, likes warm humid climates, a favorite in Louisiana. 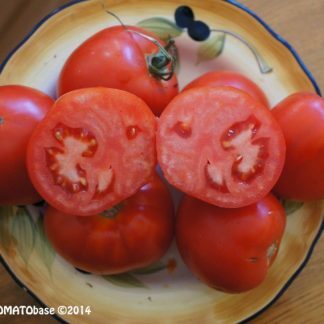 Photo courtesy of Tatianna's Tomatobase.